Jim Wiegandt is the Managing Director of Commercial Real Estate Banking at Banc of California. In this position, he is responsible for leading the bank’s growth and expansion of the CRE division. 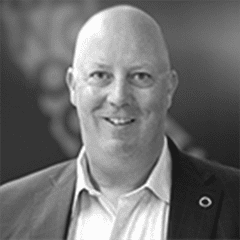 Jim has over 20 years experience creating, building and supporting high performing teams. Most recently he was the Director of Retail Income Property Lending at Luther Burbank Savings where he was able to lead the team to incredible results assisting the bank to grow from $4.0B to almost $6.0B in assets. Prior to LBS, Jim was an Executive Director at Chase Bank/WaMu for over 10 years. With that firm Jim held several positions focusing on CRE, Asset Management and the MFL businesses. Jim has also held senior sales and management positions with Nextel Partners and Household Finance. Jim attended Michigan State University as well as San Diego State University where he received his Bachelor Degree. Jim has also received post-graduation education at Pacific Coast Banking School and ABA Commercial Banking School. Jim is active in the community, Jim has been a CASA (Court Appointed Special Advocate) and supported at risk youth by being a voice for them in the court system.